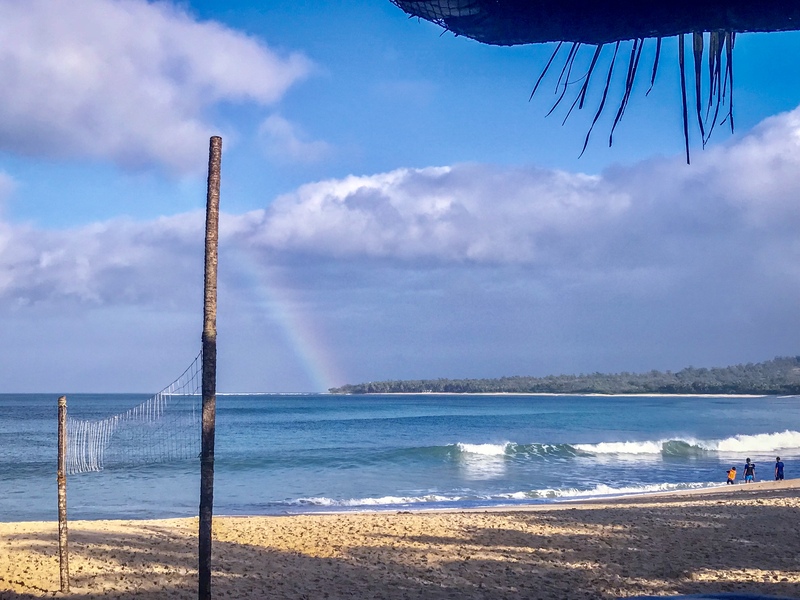 Pagudpud remains a Philippine travel destination that is still relatively undiscovered by Filipino and international tourists. This small town is the type of getaway for those who are nature-obsessed and are seeking a quiet and peaceful destination. The scenery in Pagudpud is also some of the most picturesque views the Philippines has to offer. Beautiful white sand beaches that stretches for days, right along breathtaking grassy plains, and green hills that surround the quiet, rural farm town. Pagudpud was part of my itinerary on my recent backpacking trip in Northern Luzon. It was a short trip, but definitely already looking forward to going back and spend a little bit more time. Below are some tips and things to do while on your visit to Pagudpud! Pagudpud is located in the most northern tip in the Ilocos Norte province of Luzon. The distance is approximately 558 km, or about a 12-hour bus journey from Manila. The most convenient way to reach Pagudpud is taking a short hour-flight from Manila. The closest airport is in Laoag, which is approximately 75 km from Pagudpud. Philippine Airlines has direct daily flights from Manila to Laoag. Once you arrive in Laoag, take a tricyle that will take you to the bus terminal. Let the conductors know that you are heading to Pagudpud and they will guide you to the bus heading that direction. Approximate travel time on the bus from Laoag to Pagudpud is 1 hour and 20 minutes. The fare for this trip is roughly 150 PHP each way. There are overnight buses that go from Manila to Pagudpud, and vice versa. 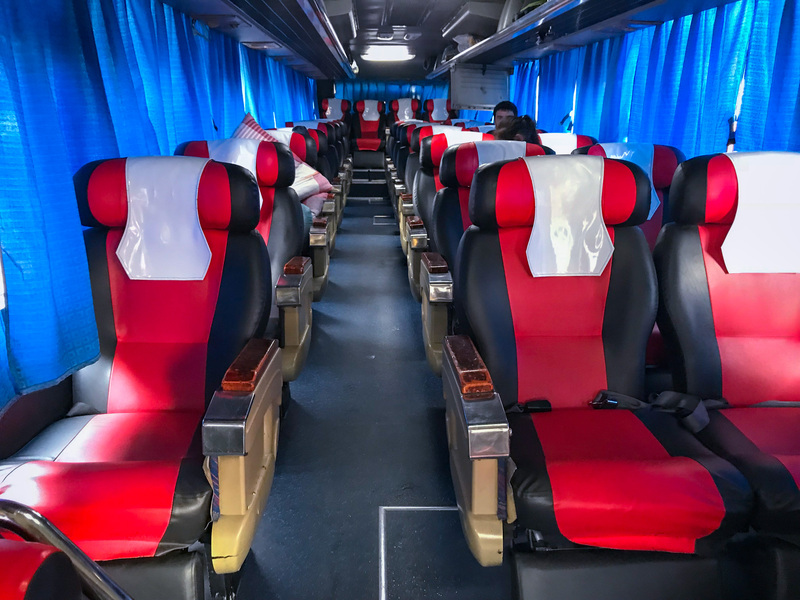 Considering the journey takes approximately 12 hours, an overnight bus is ideal route since you will be saving money on a night’s accommodation. The major bus companies that serve this route is Victory Liner and Partas. 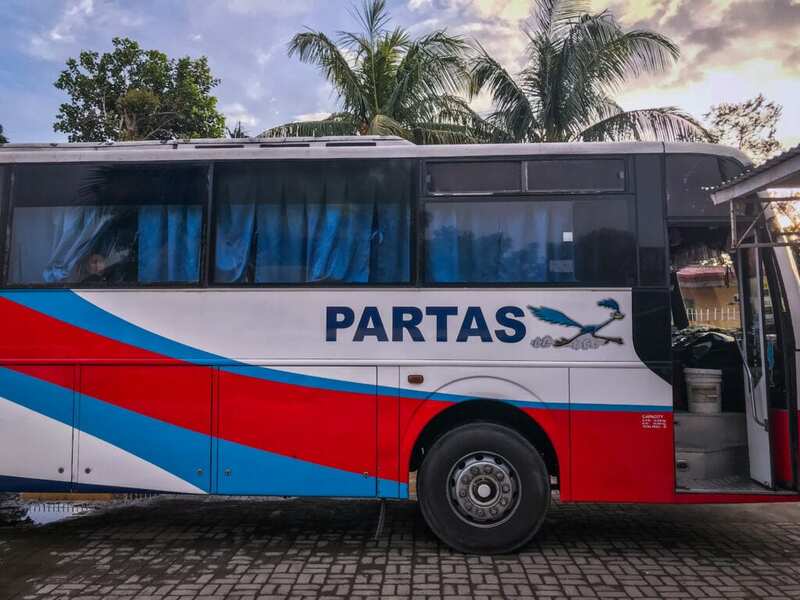 These buses are comfortable and are usually on time, perfect for the long journey ahead! One thing I definitely noticed the moment I arrived in Pagudpud is how peaceful and quiet it is. It’s essentially just you, the locals, and nature. No nightlife or loud music blasting on the beach either. 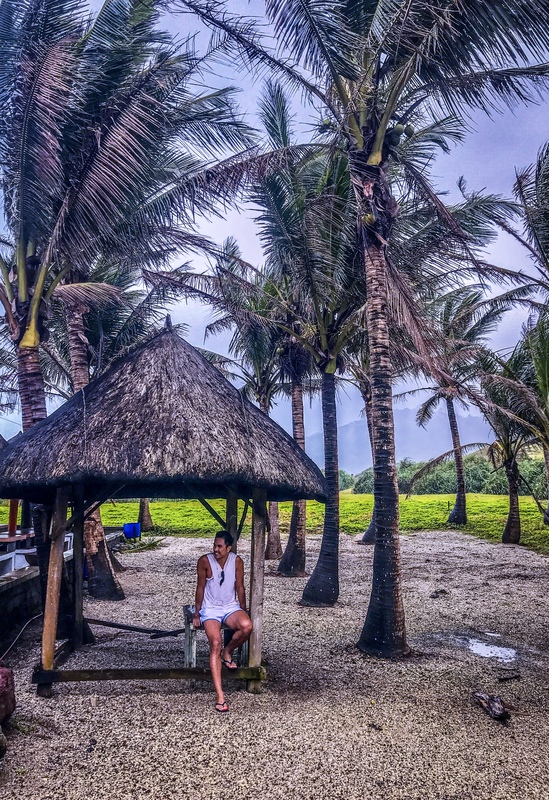 Saud beach rivals Boracay with its crystal clear water, and quaint resorts and restaurants that line-up the fine white sand beach that stretches for miles! The Patapat Viaduct is built along the side of the rocky coast of Ilocos Norte and offers amazing views of Pasaleng Bay. The bridge stretches 1.4 km with a spot where tourists can get off to take pictures! 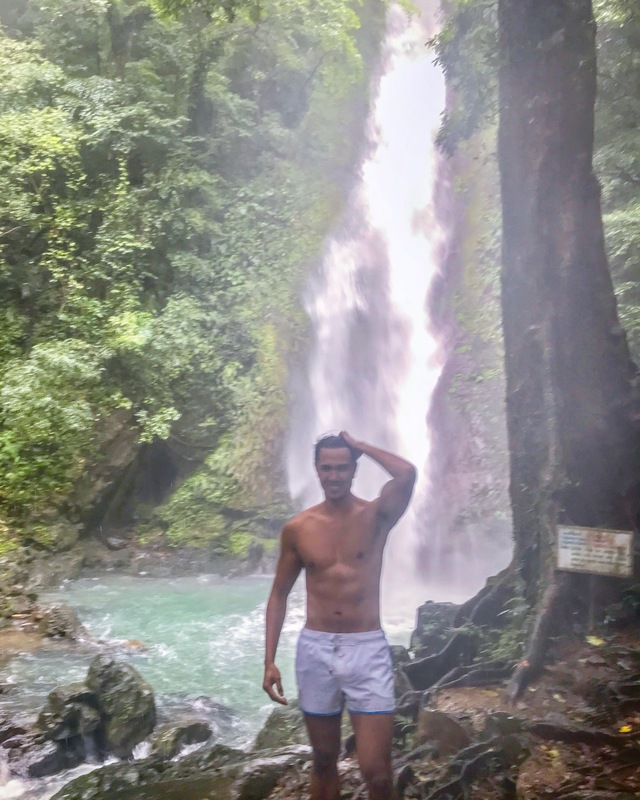 Kaibigan Falls is an 80-foot waterfall that is nestled deep in the lush jungles of Pagudpud. 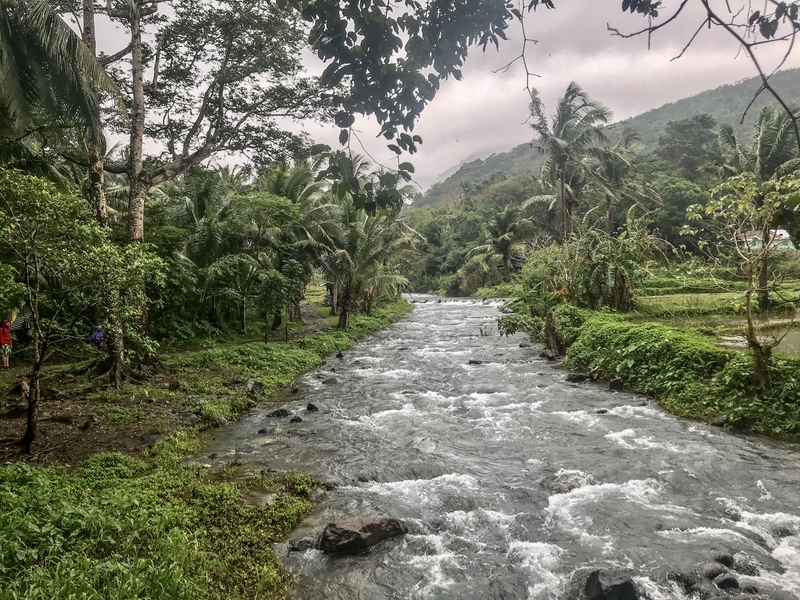 The trek to get there was worth the adventure in itself, surrounded by greenery and river streams during the 45-minute easy hike. 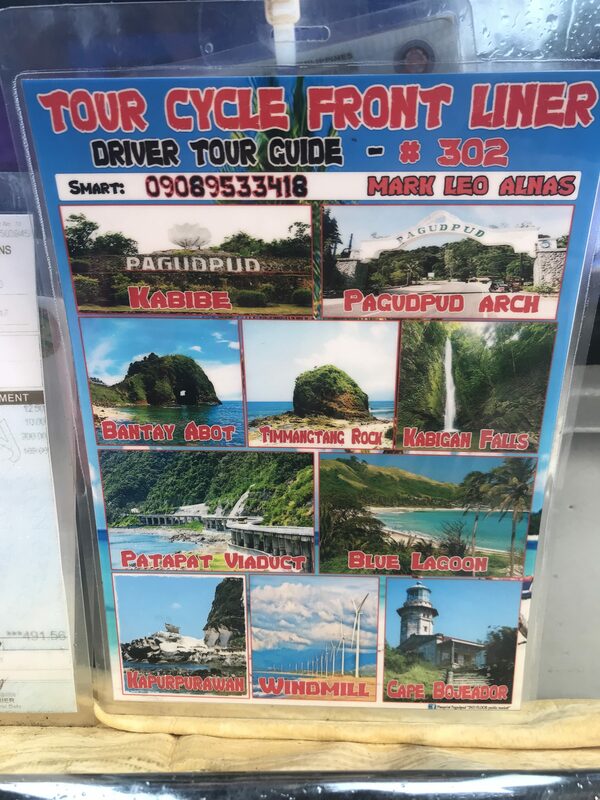 To see the rest of the sights of Pagudpud, I recommend hiring a tricyle driver to take you around the island. The tour is separated between two itineraries, and usually cost 600 PHP. The best time to visit Pagudpud is during the dry and summer season in the Philippines, which typically starts around December until May. Unfortunately, we didn’t have the best weather while visiting Pagudpud. 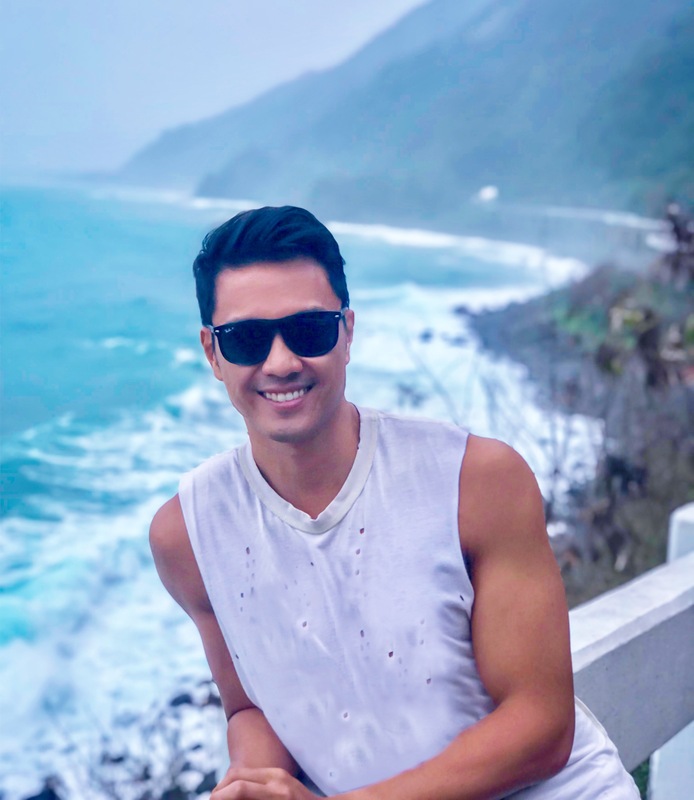 But rain or shine, Pagudpud and its scenery are breathtaking and is a must visit regardless of the weather!